Revelation is a beautiful thing, especially when it is Jesus doing the revealing. He is setting me free in so many areas of my life, I’m floored by how far He continues to bring me in my journey with Him. You see, when I first began to follow Christ, almost five years ago, I thought my life would be perfect. God would make all my wrongs right, and everything would fit neatly into a beautiful Christ centred box……how naive and ignorant I was…. *shake my head*…. The Lord blew me away with the force by which He shook my world. He detonated it from the very foundations and my life was forever changed. I tried to make sense of the brokenness and the pain and in time God’s word came to life within my circumstances as He began to piece back together the remains of my shattered existence. With three young children and no godly male figure to partner with me and help me raise them, I found myself yearning for an on fire for Jesus husband who would love my children and I as Christ loved the church, so together we could show them what a Christ centred marriage looked like. For me, that is what perfection looked like. I had not experienced it for myself, but looking at others and hearing so many awesome testimonies I knew it was possible so patiently, I waited for my turn…. You see, marriage is not an end goal, perfection is not found in marriage. Perfection can not be found anywhere. Only Jesus is perfect and more and more the Lord is showing me this. Through my life and the lives of others, He is continuously revealing that no situation we will ever find ourselves in will ever be flawless. I used to be so guilty of looking at others and believing their lives were better than mine or they had things easier than me, but how would I know? What do I know? Everyone is battling something. No one lives a challenge free life, even if they believe they do and the more I realise this, the more I am able to find peace in my now, despite the difficulties I may be facing…..
Every season has its hardships, nothing will ever be plain sailing. It’s time for us to stop believing that when we reach a certain milestone, tick a personal goal off a bucket list, or meet ‘THE ONE’ that our lives will dramatically improve for the better. The only ONE who will ever truly make a radical difference to our lives is Jesus, The Soul Saver and Death Defeater…Hallelujah!! I am learning that if I’m not content NOW, how can I expect to be content later….an event will not change who I am on the inside, only Jesus can do that. I need to be teachable, to be open to what His spirit wants to do through me for His glory…changing my relationship status or achieving career success is not going to bring me any kind of long lasting joy if that joy was not present to begin with. Can I please get an AMEN somebody!! I am so thankful that God never gives up on me, that He reveals more and more of Himself to me as I seek Him. I can honestly say I am not the same person that I was when He met me in a church in South London almost 5 years ago. Broken, lost and although I didn’t yet know it, in desperate need of a Saviour. Jesus Christ of Nazareth who continues to be all I truly need. All I ever wanted can be found in Him and as He teaches me, I teach my children. Jesus is not allowing me to wait, He is empowering me NOW! He is equipping me for NOW! RIGHT NOW I am a strong and determined single Mother of three bright and beautiful children and already, they are further along in their understanding of Him than I was at their age and they are 9, nearly 8 and 5 and a half. Wow Lord, you really do answer prayers in the most profound ways. There really is none like YOU! I’ve been feeling in limbo for the past few weeks now and I really don’t like it. It’s getting me down to be honest. Truth be known I’m ready for it to be my time. My time to experience a season of greatness upon greatness. I’m sure it’s coming but I’m fed up of waiting and those sentiments bother me as they are not gracious and my God is gracious. The way I’ve been feeling lately is not Christ like. 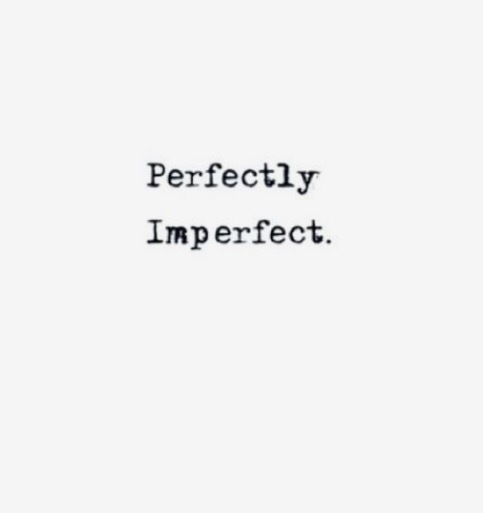 Of course I am imperfect and my God is perfect, there will be many times I will stumble. It’s just that I feel as though I’m stumbling quite a bit lately. I don’t want to do anything or be around anyone, it’s like I’m sulking and hiding away from the world and I don’t know quite how or when I’ll get out of it. I’m sure it’s just a passing phase and I must try with all they I am to press into the goodness of God. 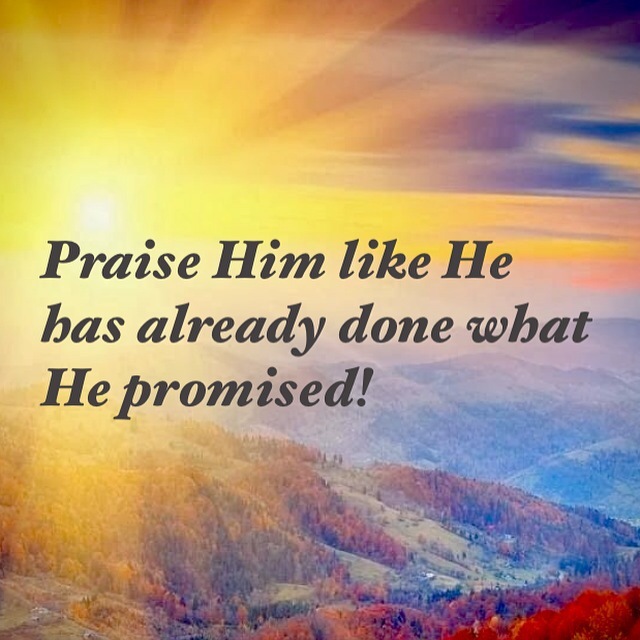 I must strive to praise Him as though He has already done what He has promised. After all He is able and it is Him and Him alone who will get me through this funk. Like I said before there are so many little things which are beginning to happen in my life, I just have to wait for them all to gather momentum, come together and blossom into a season of gloriousness!! Hallelujah!